Jurors Twittering details of a trial. Jurors Googling information about a case. And last month, a Judge declaring a mistrial in a big federal drug case in Florida when jurors conducted research online. 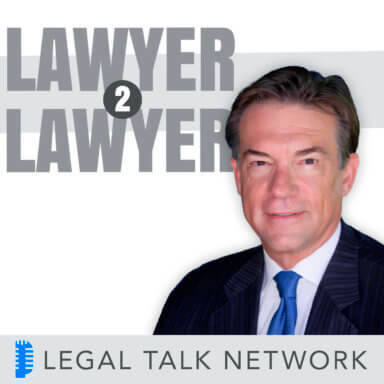 On this edition of Lawyer2Lawyer, we’re talking about the advances in technology, communication and information flow interfering with the justice system and the potential effect on ‘trial by jury.’ Law.com blogger and co-host, J. Craig Williams welcomes jury behavior expert, Dr. Edward P. Schwartz, Attorney Peter Raben, defense attorney from Miami, Florida and Attorney Sean Ellsworth managing partner at Ellsworth Law Firm P.A, to discuss this hot legal topic.